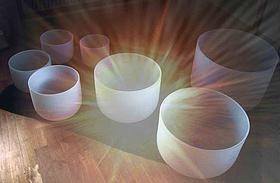 Renew yourself – body, mind, & spirit in a current of pure crystal sound waves. Pure sound vibrations harmonize and lift us into a profound restorative healing state that is difficult to describe…how about bubbly bliss! 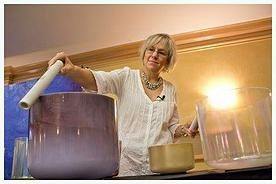 Join us in Synergy Institute’s Lotus Room to experience the miraculous power of sound vibration through alchemy crystal bowls that clear the body and mind for spontaneous healing and integration.Session includes breathing exercises and rest.Registration recommended as space is limited. Arrive 15 minutes early to register and settle in. Bring a pillow and a yoga mat or blanket to make your-self comfortable. All are welcome.